No, I haven’t read any of those books on downsizing or simplifying. I would make the excuse that I don’t have time, but really, I think it’s because I don’t have the attention span to read a whole book on simplifying. The idea sounds amazing because we have too much stuff. For too long, I looked for too many great deals at garage sales and thrift stores. And we have a lot (a lot) of relatives who get gifts for us and our kids each year for birthdays and Christmas. And how do you tell them no thank you? We have four beds for four children, but my kids actually sleep on about one-third of their mattresses because the other two-thirds have clocks, stuffed animals, dirty pajamas, musical instruments, dolls, sketchbooks and pens, and library books on them. At times, we make them come to their bedroom doors to hug us good night and pray with them there—navigating the piles on their floors is too treacherous. I’ve tried nagging, begging, sometimes crying, in the hopes they will find items they can give away so we don’t have to maintain so many things which takes away from time we can spend together being and doing and adventuring. So I hide in my “office” in the basement playing Angry Birds and Scrabble in between actually working to avoid the messes. And then even less gets done. God, thank you so much for writing words thousands of years ago that still resonate with my soul today. 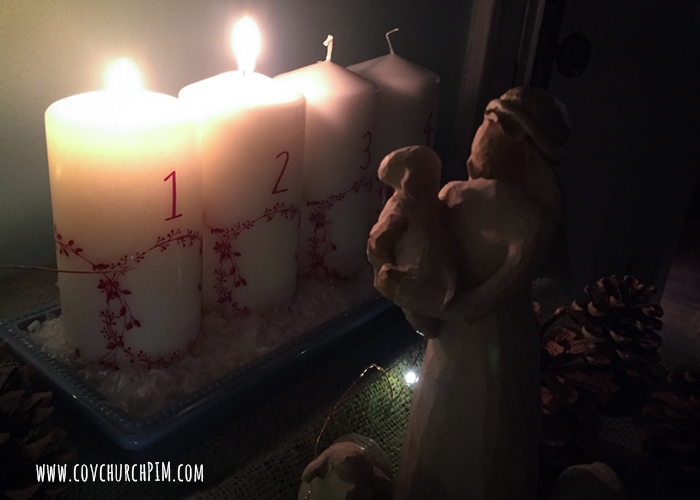 In the midst of the holiday chaos, please help me to simplify, and remind me often to be still.